Not only is a material based theme where you only need to change the material to vape on the main screen but still gives you access to the profiles under the settings menu. is now profile settings. 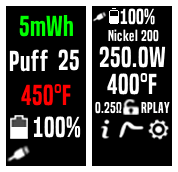 *IMPORTANT* This is where you change your material for the profile selected *IMPORTANT* updates with live puff energy, live atomizer current, and live atomizer temp while firing. 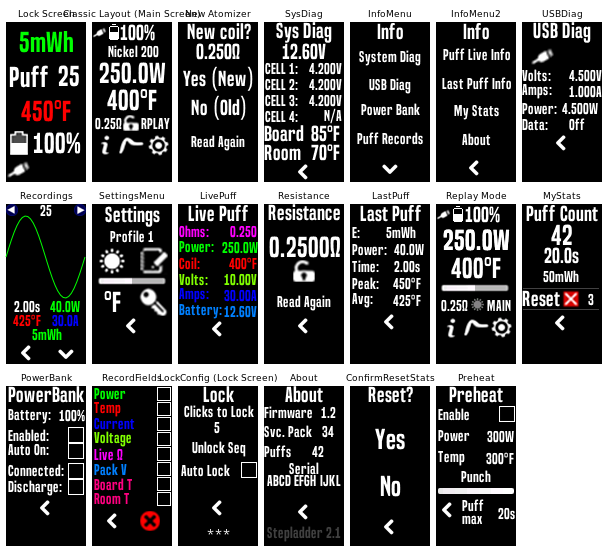 Added max puff time selection(only selectable up to mod limit set in Escribe). If you set puff time in Escribe above limit, then change puff time here it will only allow you to select from 1 to (mod limit set in Escribe, default 10s). Previous File EvolvOfTime - Zelda Theme: SIMPL ver.